You rely on your Kia every day. These light cars are characterized by their fuel efficiency and sleek designs that make driving fun. At Hollin Hall Automotive, we want to keep you and your Kia on the road, with the wind in your hair. Our ASE Certified technicians have the training and diagnostic capabilities to work on Kia vehicles. 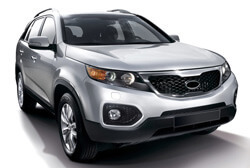 Regardless of the year or model, you will find a qualified mechanic ready to service and repair your Kia. From oil changes and brake repairs, to scheduled maintenance services, will keep your Kia running at its best.